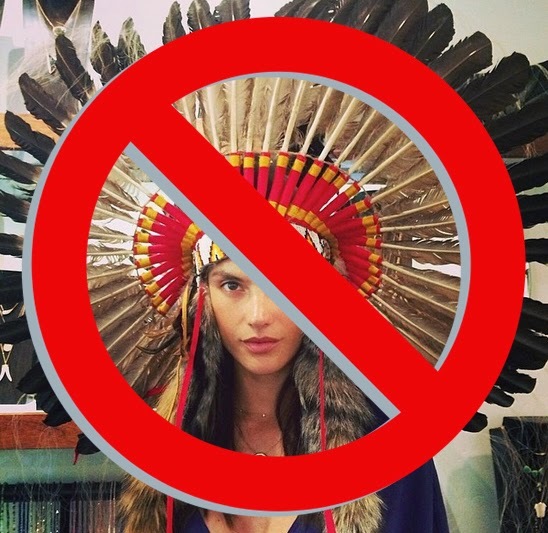 I'm on a mission to find out when white women started wearing Plains Indian headdresses as a part of 'fashion'. 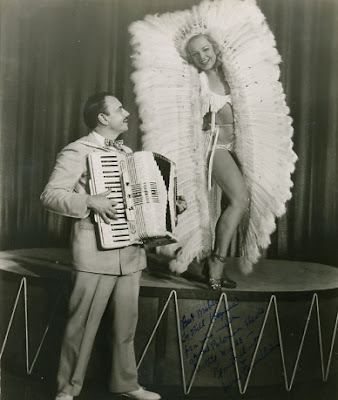 "Wearing her authentic Native American headdress, Enid Mutterbucket would leap up and down on two mini trampolines, ululating while she performed various movements of an arcane nature. She was accompanied by Signor Prosciutto on his accordion, who played his own arrangements of Lakota folk songs interspersed with popular Glen Miller hits of the day. (Well, I did tell you it was an "unusual" act!)" 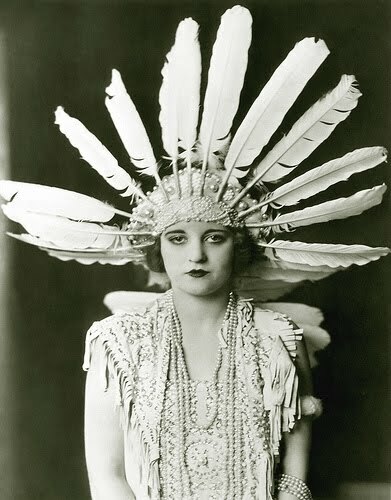 American Actress Tallulah Bankhead in the London stage production of The Dancers (1923), wearing a buckskin dress and a feathered headdress. 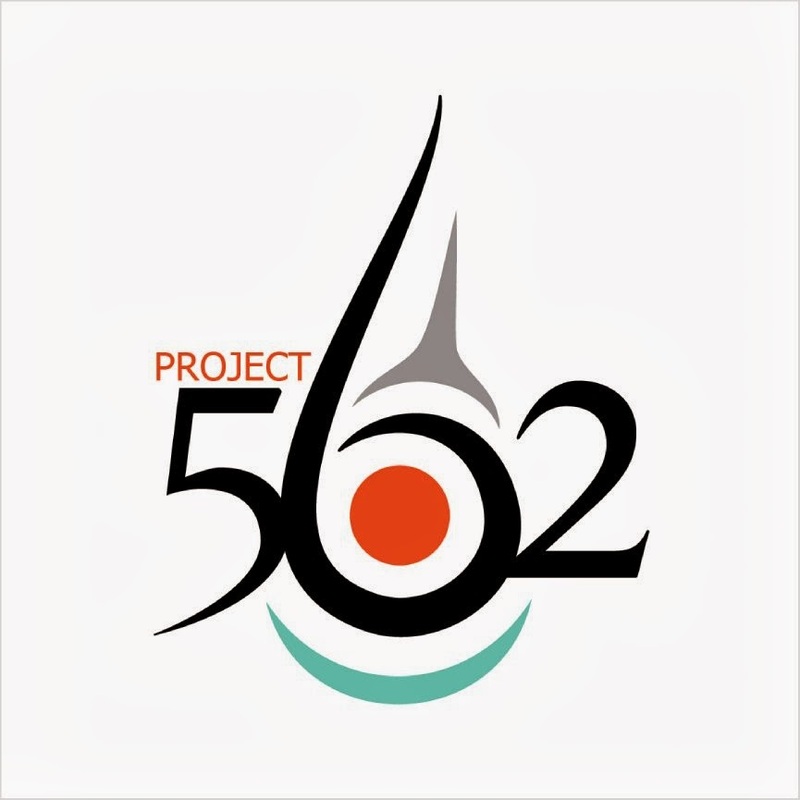 "Although not critically acclaimed, The Dancers was a sensation with audiences in England. It boasted superior production values and first rate acting, but the clear attraction was Tallulah. Her unique voice and stunning beauty caused her to be the talk of the town. Her most famous scene was one in which she performed an Indian dance costumed in feathers and jewels. Similar to Madonna's success in the early 1980's, Tallulah also developed a cult fan base of teenaged girls who copied her dress and style and lined up outside her door after performances." Any leads, send them this way! Continuing even today. 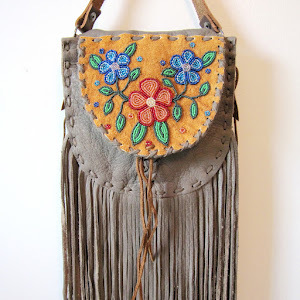 Look on Etsy.